Send Us Pictures of Your NanoDays Team! Whether your team includes an army of local graduate students, or a handful of museum educators, or a mix of volunteers, scientists, and industry partners, we want to see who they are! Snap a picture of your NanoDays team this year (be sure to have anyone in the photo sign a release) and send it our way! Email a pdf of the releases to Eli Bossin at ebossin@mos.org. 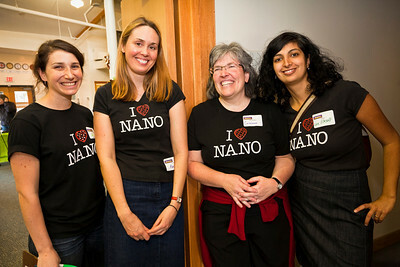 Once we get the releases, we’ll tag the photos "NanoDays2012." Questions? Email Vrylena Olney at volney@mos.org.